My company decided to do things differently. I run a business that sells stand-up paddle boards, so a shorter workday that freed our employees’ afternoons for extraordinary living was a natural fit for our beach lifestyle brand. We decided to move to a 5-hour workday where everyone works from 8 am to 1 pm. By eliminating an hour-long lunch, we only reduced our work time by two hours. Our employees don’t get paid less, and I still expect them to be twice as productive as the average worker. Apply the 80-20 rule. “The 5-Hour Workweek” is required reading for anyone looking to adopt a shorter workday. One of the most important ideas discussed is the Pareto Principle: 80 percent of production comes from 20 percent of efforts. Evaluate your workday to identify those 20 percent activities, and eliminate the rest. Shift to a production mindset. People who dismiss the 5-hour workday outright usually think it’s impossible because they measure work in hours rather than output. However, most knowledge workers aren’t paid by the hour. They’re paid a flat salary. To help my team shift to a production mindset, I rolled out a profit-sharing plan where 5 percent of the profits are doled out to employees who demonstrate exemplary productivity. Nix the “always available” attitude. One of my biggest objections to moving to a 5-hour workday was reducing our customer service department’s hours. I worried that if we cut our open hours in half, we’d lose half our business. But I realized that we didn’t run a convenience store. Our customers bought new paddle boards maybe once every five years. It didn’t matter when we were open as long as our customers knew our hours. So we made the switch, and nothing fell apart. 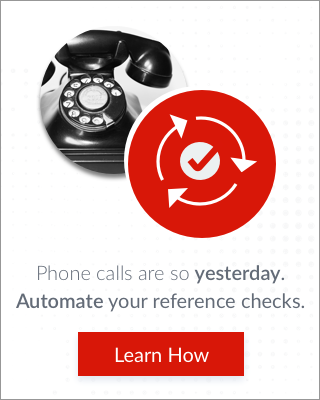 We still get roughly the same number of calls each day, and emails are usually answered within hours. Understand that even in our instant-gratification society, being available all day isn’t necessary. You just need to communicate when you are available. Use technology to boost efficiency. One of the unexpected benefits of the 5-hour workday is that it exposed weaknesses in our company that had been hidden by man-hours. To allow our warehouse and customer service employees to work 30 percent less (without growing our staff), we had to figure out how to serve the same number of customers in less time.The obvious solution was leveraging automation. In the warehouse, we reduced our packing and shipping time using software. In customer service, we overhauled our frequently asked questions page and created video tutorials to help customers help themselves. Once you put a time constraint on work, it forces you to consider how you can get technology to do the heavy lifting to increase your output. Make use of email auto responders, set up automatic trigger-based tasks, and learn to use keyboard macros. Don’t restrict yourself to a 25-hour week. My employees know they can always walk out of the office guilt-free, but top performers still put in the occasional 12-hour day. Just as with a 9-to-5 job, recognize that there will be times when you want or need to work an extra-long day, but when you can leave the office at 1 p.m. to go surfing or pick your kids up from school, work isn’t separate from life; it’s all just living. 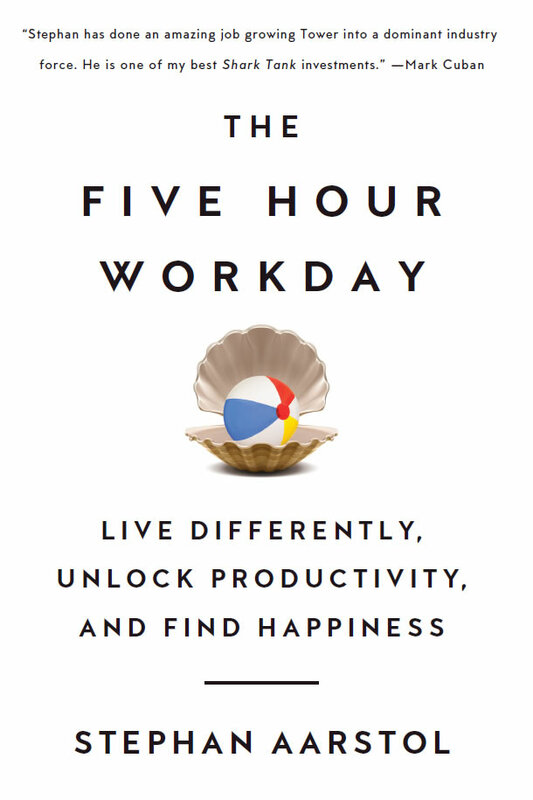 "Let go of the fear"
Stephan Aarstol's new book is The Five Hour Workday - Live Differently, Unlock Productivity, and Find Happiness. You can read an excerpt here. 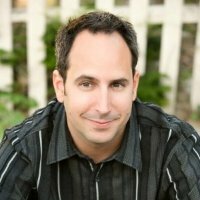 Stephan Aarstol is an entrepreneurial thought leader and online marketing expert. With over 15 years of Internet experience, Stephan has worked with a large variety of startups, from e-commerce and medical imaging to educational toys and youth backpacking. As the CEO and founder of Tower Paddle Boards, Stephan attracted an investment from billionaire Mark Cuban on ABC’s “Shark Tank."